Exposure to Temporal Strobe may cause minor tremor-like seizures to occur in the body. These can affect the neck muscles causing one's head to move up and down and back and forth and in rare cases, in and out. It is important to relax and stay focused; this is just the rhythm finding its way into the body. Prolonged exposure may cause a euphoria-like feeling throughout the conscious parts of the brain. 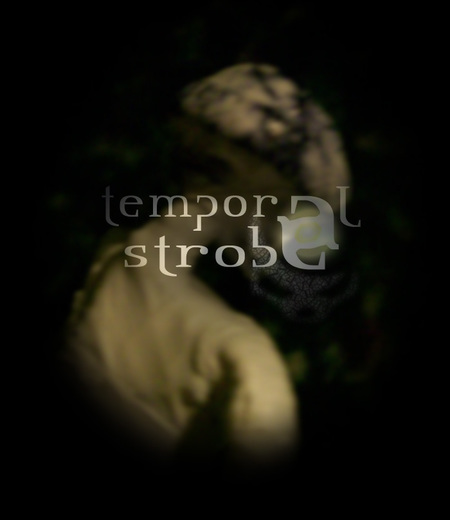 Listening to Temporal Strobe may alter one's current state of mind. It's okay to let the mind wander, that means it's working. Results may vary. If you are on an anti-music regimen, Temporal Strobe may not be suitable for you. Consult a musician should the effects of Temporal Strobe persist after prolonged use. Temporal Strobe may affect one's ability to drive or operate heavy machinery. Do not exceed the recommended dosage unless instructed by a musician. Temporal Strobe should not be used while wearing earplugs, earmuffs or a helmet. If a serious medical condition requires you to wear a helmet, try applying headphones before putting on the helmet... earbuds should do the trick. Some of the most common side effects of Temporal Strobe are sleeplessness, extra sensory awareness; nosebleeds (at higher elevations) and temporal swelling. Do not stop Temporal Strobe once play has been activated.